Kim Shaw working on a photo art creation. 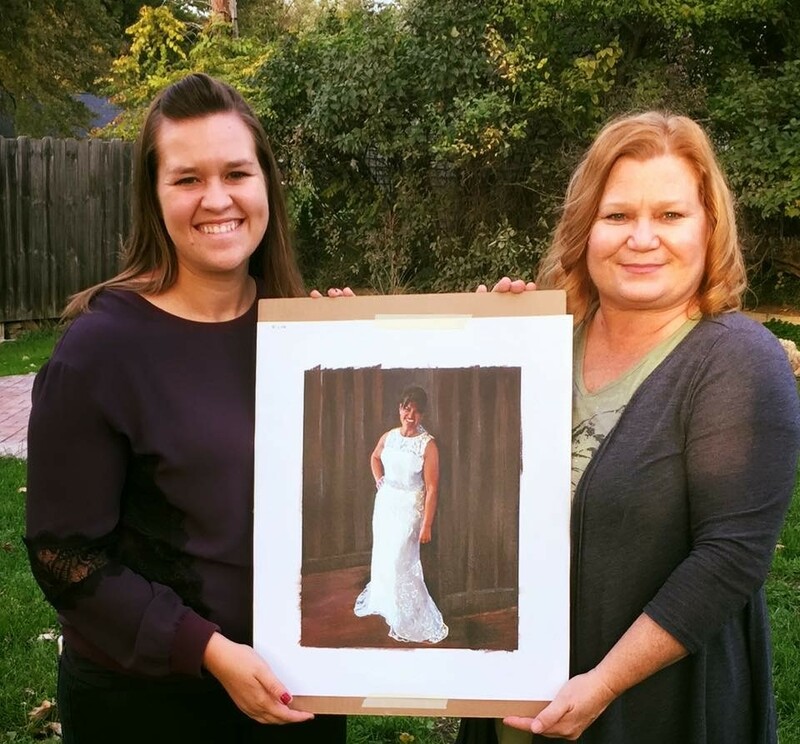 Everything changed in 2010 when divorce set Kim on a path of healing where she eventually met with a life coach who guided her to explore new mediums that included acrylic painting on photographs. After taking a couple of classes and receiving a gentle push from a friend, Kim began painting—first for family who asked her to paint as gifts and then for a gallery owner who asked her to paint in her gallery “live” on Saturdays. It wasn’t long before her business, PhotoArt by Kim, was founded and she was on her way to pursuing her passion. Kim’s photo painting process begins with an image in any condition. “If it’s not in digital form, I’ll scan it digitally and then print it on canvas,” she adds. “Then I prepare the surface of the canvas with a matte medium and begin painting with acrylic, following either her intuition or the customer’s guidance.” Kim says that most of her commissions are inspired by the clients, as they generally have a vision of what they want. After the painting has dried, each piece is varnished with UVA protective coating. Kim with a happy client. Angel Haze once said, “True artistic expression lies in conveying emotion.” Kim Shaw offers her customers the inspirational gift of artfully recapturing moments in the lives of their ancestors, their friends, and themselves and providing them with a keepsake that draws emotions to the surface and keeps those moments alive for the next generation to appreciate. Through the pursuit of her artistic passions that provide others with so much happiness, Kim is leaving a legacy that will last long beyond her time here on Earth. For more about her artwork or to reach out to Kim about a commission piece, visit https://www.facebook.com/photoartbykim/.